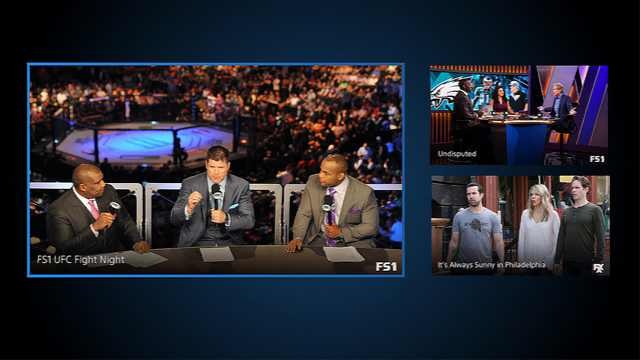 Sony brings new multi-view feature for PS Vue that allows you to watch up to three live channels on PS4. The new multi-view feature gives you the option to watch and listen to the main TV channel and view up to two additional channels at the same time. To activate new multi-view feature, press and hold X on any live TV program from the Guide or Live TV row of the home screen to open up the selection screen for multi-view. A menu will pop up to give you an option of using either two or three multi-view screens. You can select any other live programming from the Live TV stand and start viewing multiple programs at once. You can switch programs by pressing Square on your DualShock 4. To move a program to the main screen, just highlight the smaller screen and press Square. The feature will be available on PS4 starting today. According to the company, more features are coming to the PS Vue.